Our host at Camping Harmonie in Lithuania had suggested that we not drive into Riga and had suggested that we camp outside town at a place near Lecaya and take the bus into Riga. However we thought we would give the campsite in the city a go. We did the trip in about 3 hours from our campsite at Siliui to Riga City Camping – a temporary site within walking distance of the city. Once we crossed the border into Latvia we immediately noticed a difference in the quality of the roads – in Lithuania they were generally OK with some rough patches, in Latvia they are generally rough patches with some OK bits. Even within Riga there was a horrendous cobbled section which damn near shook our fillings out, and the town is thick with road works and the traffic is very very heavy. However our satnav did us proud and we got to the campsite quite easily. The site is fairly basic but its a temporary site for the summer and located behind the Latvian equivalent of the NEC ( would you believe that Crufts was due to start there the following week) – the pitches were grass and we weren't sure how they would be in the rain – but there was electricity, toilets, showers, waste water disposal and a chemical toilet place. Gilroy had to shout at a German this morning for ignoring the sign – in English - saying don’t use the drinking water tap to swill out your cassette. Not sure why the sign is only in English – most of the customers here were German and we were - as always on this trip– the only Brits in the place. Price in May 2013 – 13Lats a night plus 3 Lats each for 24 hours of wifi. The site is about a 20 minute walk into the old city and there is a huge shopping centre about 10 mins walk away. If you dont mind driving through a big and traffic clogged city then this is the place to head for. When we arrived the weather was, despite the weather forecast, very good so, after checking in at the campsite we headed across the bridge into town and had a good lunch and our first look at the Old Town. While we were eating a wedding party was having photos taken at the nearby castle with a 1940 Maybach open-top car of the sort we see in WW2 films – usually with Hitler waving from the back. We then wandered around the old town fairly randomly, often going in circles, admiring the buildings, the squares, the parks and after several hours decided that the bridge home was to the left before consulting the map and finding that it was to the right, poor navigation which Sheila put down to the lack of a sun that time which is why we lost our bearings, novel excuse. 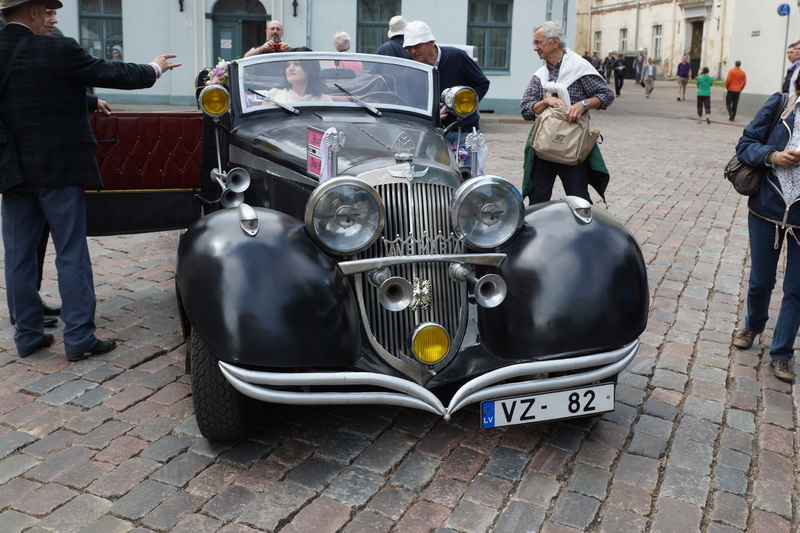 What was very noticeable in Riga were the number of bars and restaurants. Some squares were completely given over to outdoor seating areas with bars and live music, all very smart. 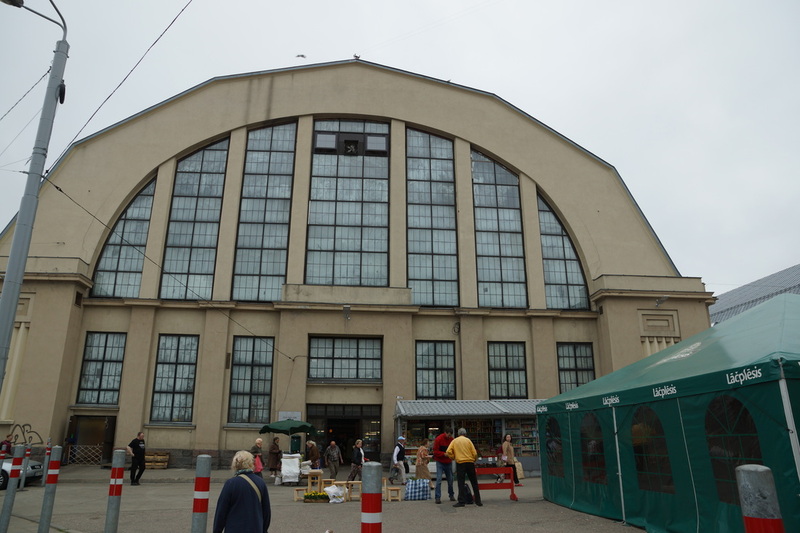 Riga does have a reputation as a stag and hen destination and city breaks all thanks to the budget airlines - reckon it could get pretty lively at night when these old geezers are tucked up in their beds. During the day time it is certainly a lovely city to visit. Highlights included the three houses together known as the Three Brothers despite being in three very distinctive styles, the House of Blackheads and the Cats' House where the cat’s backsides used to face the Guild building opposite until the Guild allowed the Cats' House owner into the Guild and then he turned them around. In the park alongside the river we came across a bridge that was full of locks not sure what the purpose is, maybe none. 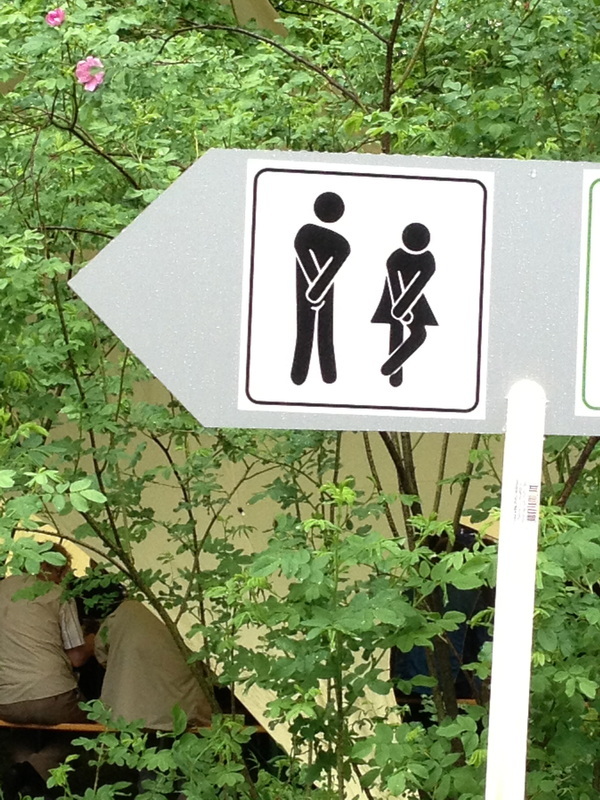 I think that there may be something similar in Paris. Many of the locks were engraved so people had planned ahead rather than suddenly finding a place to park their bike locks. 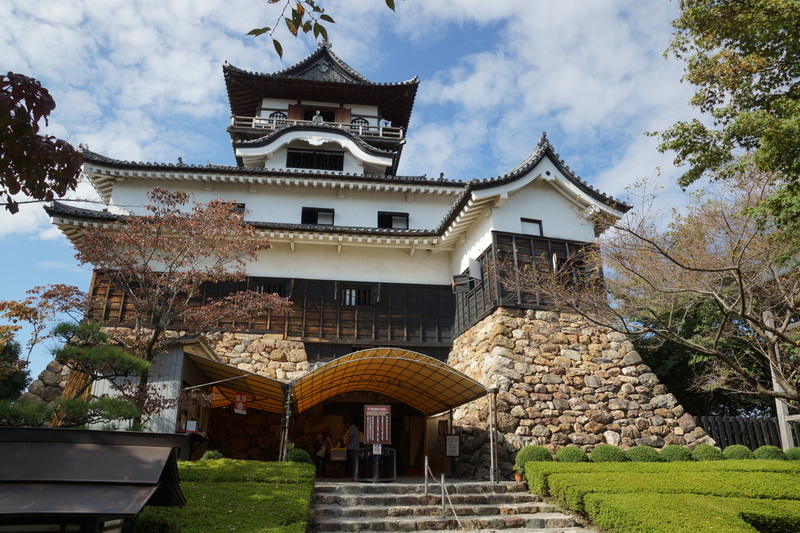 This bridge is shown in the picture at the top of the page. 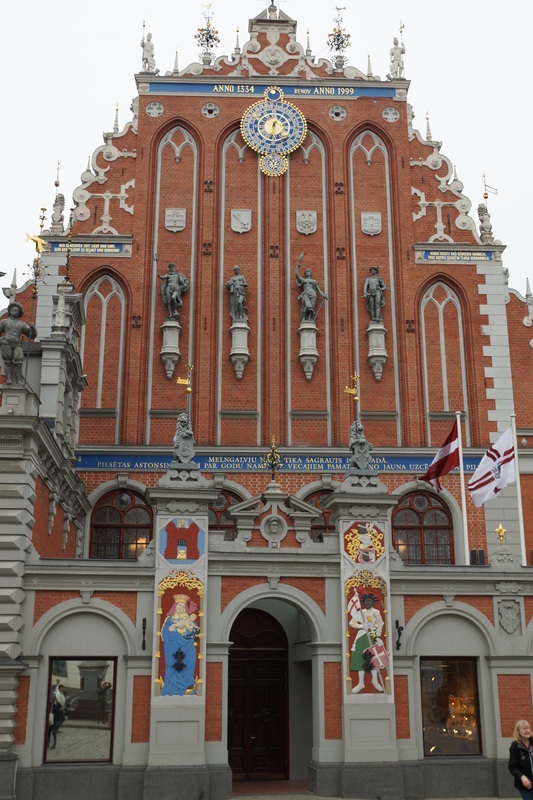 The House of Blackheads, pictured below, is not a skin care venue but relates to a Guild from the 13th century to which the young unmarried merchants belonged There is another in Tallinn as we were to discover. On our second day in the city we took the tour bus from the campsite (10Lats each) which was very entertaining and to be recommended.The script seemed to have been written by Intourist (the Academy of Sciences building – also known as Stalin’s Birthday Cake – was described as ‘an outstanding example of socialist-realist architecture’) and the lady doing the commentary got the job because she is the daughter of the Minister of Culture rather than because she could speak English. We also noted that the German commentary took far longer than the English – were they getting more than us? 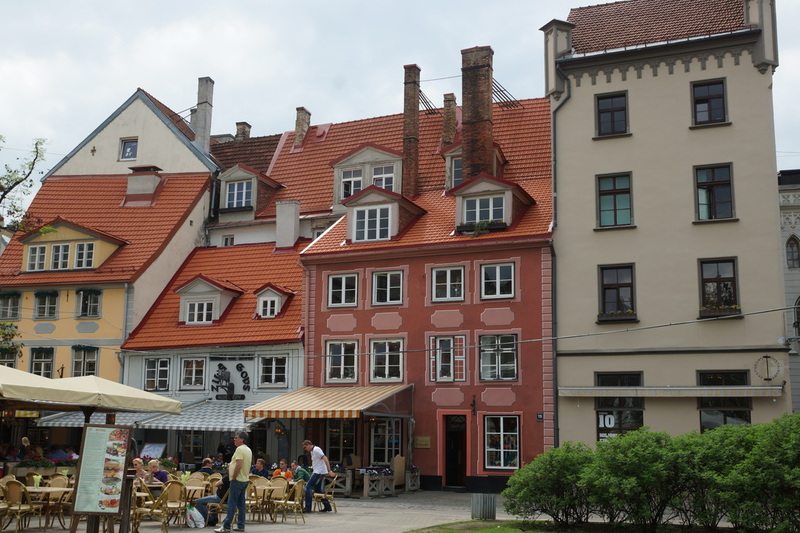 Despite all this, the tour was useful for taking us outside the old town to the area of old wooden houses and to the main ‘Art Nouveau’ streets which were very attractive. 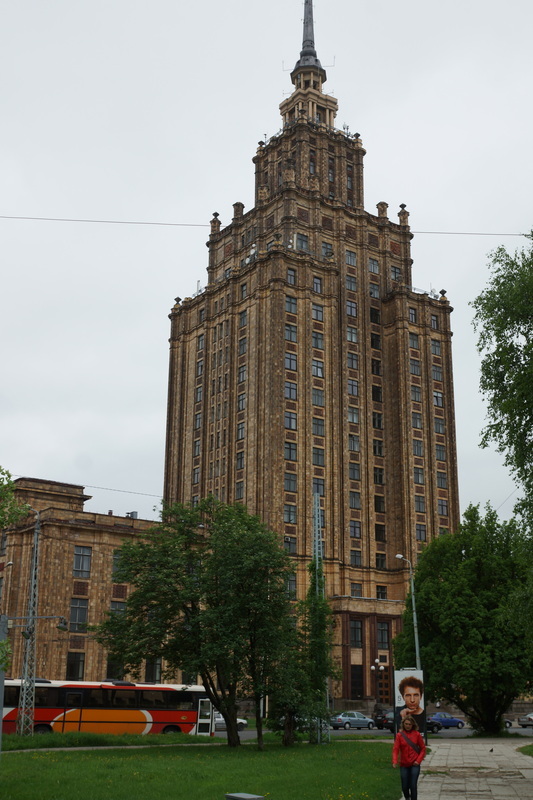 The commentary about the old KGB building said that ‘from the cellars you could see Siberia’. Nice. 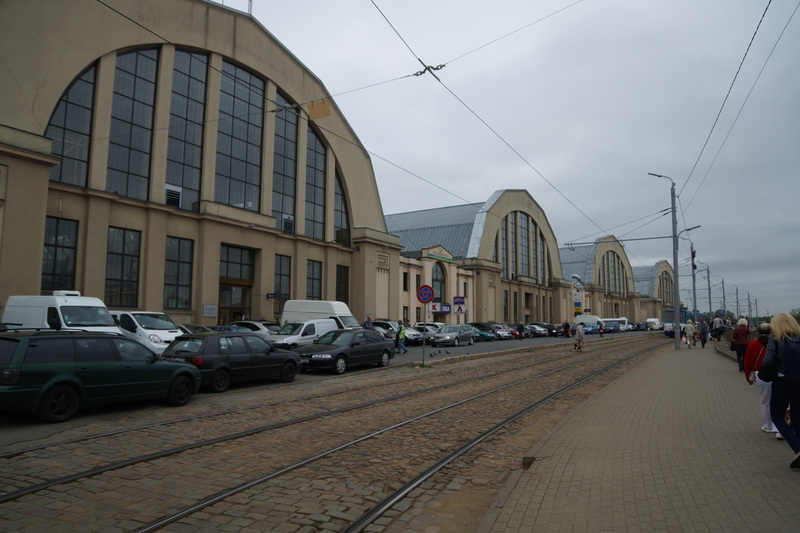 We asked to be dropped off at the market which was in a series of huge hangers which once housed Zeppelins. 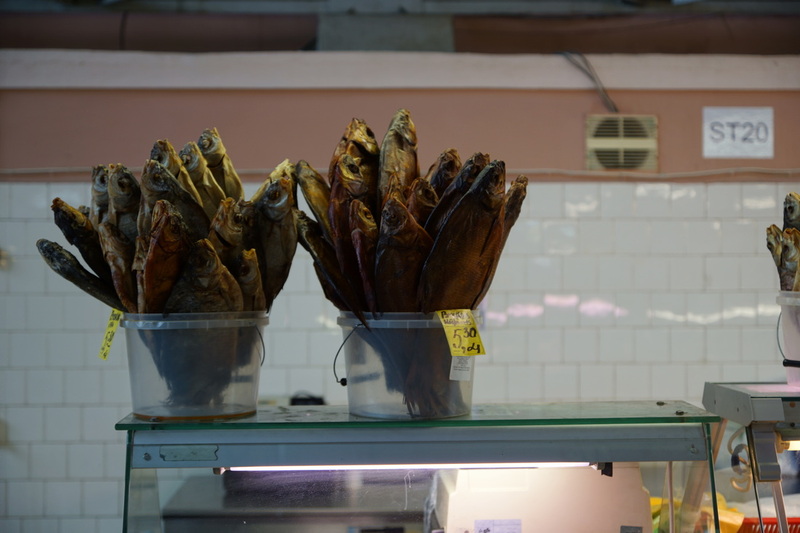 The fish section had ‘vases’ of dried fish which looked very tempting. We then did our usual wandering. We had lunch at a coffee shop which provided a very filling potato pancake and smoked salmon combination for Sheila and a smoked salmon & shrimp baguette for me. Both delicious and – with coffees – a snip at 13Lats the lot. 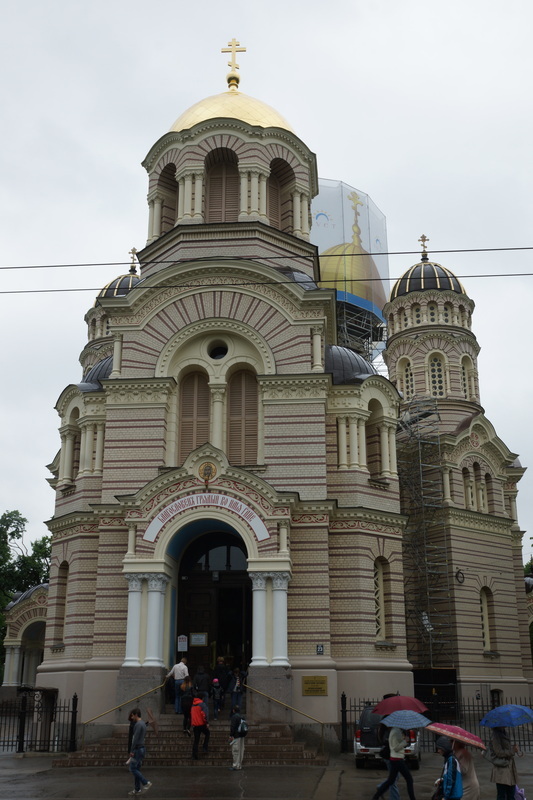 We were going to go up the tower of St Peters for the view but it was raining by then and we were too stuffed for the steps so we went to the beer festival in the park, via the excellent Russian Orthodox church which didn’t allow photography – a pity because the interior was particularly good. 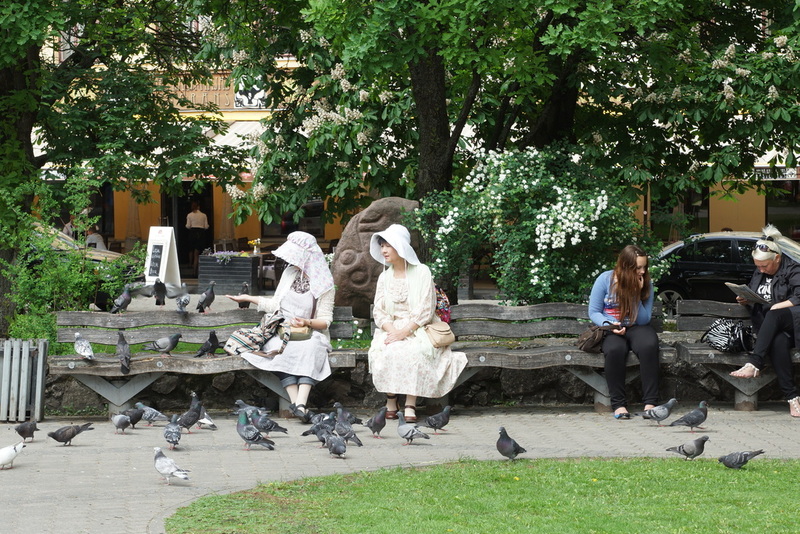 Finally, we spotted these ladies in Riga, doing a bit of sight seeing as well as feeding the pigeons. They looked as if they came from the far east but their outfits were splendid, especially the hats. When we arrived in Riga we discovered that we were too early for the Wagner Ring Cycle which started the following week. 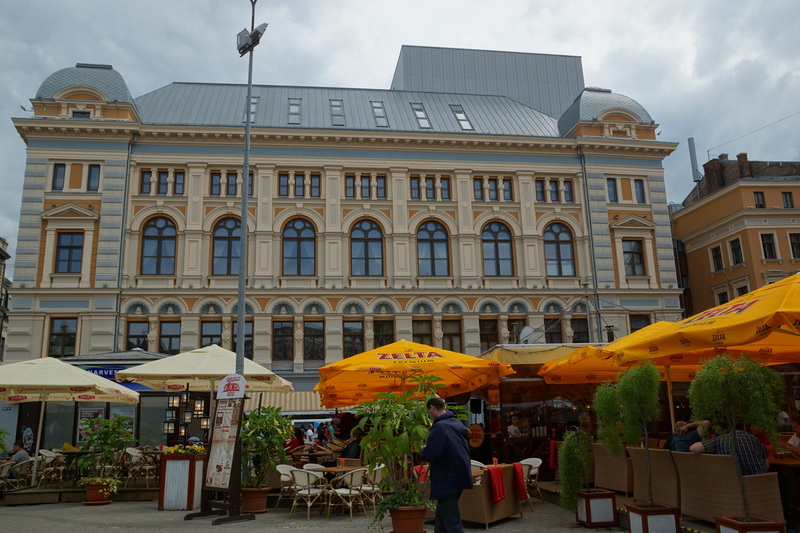 We had heard that Riga Opera House was not only good but relatively cheap (compared with UK). 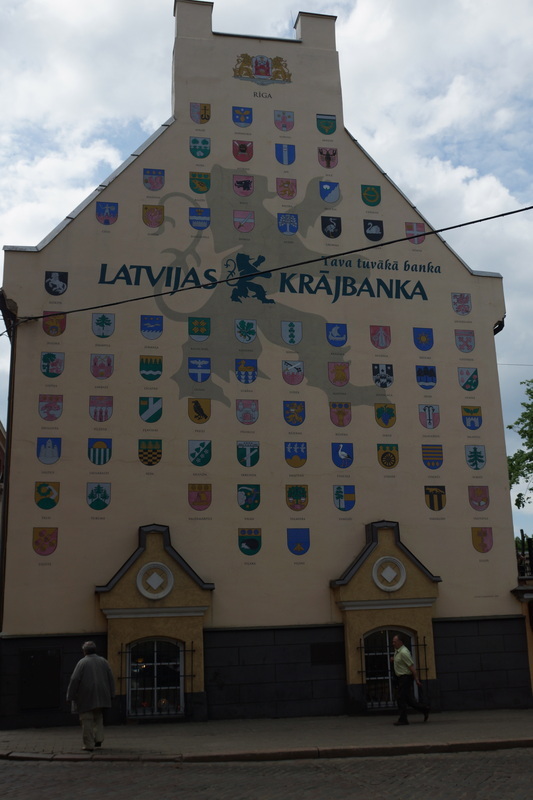 Eric Clapton was not due into town for a couple of weeks but we were fortunate to coincide our arrival with the Latvia Beer Festival which was on for three days. We popped in for one pint only as it was a soggy day. 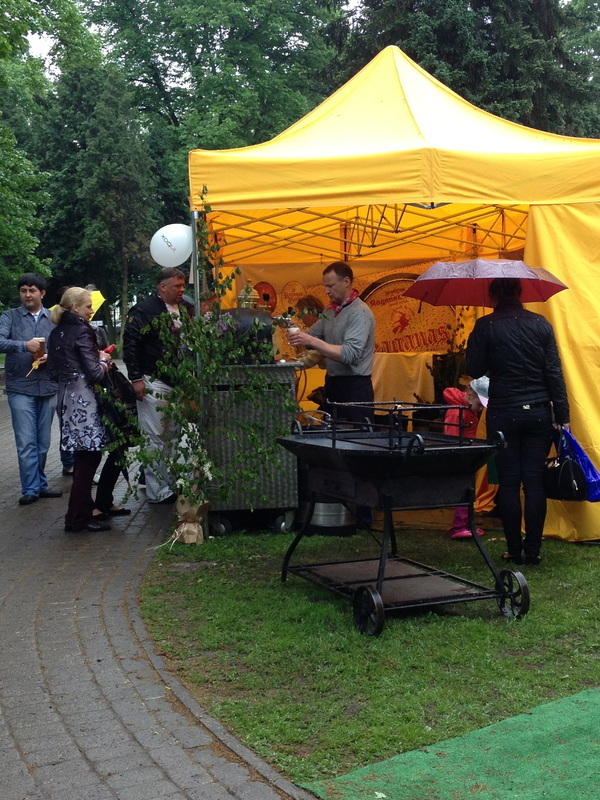 However there were plenty of beer and food stalls and entertainment too. 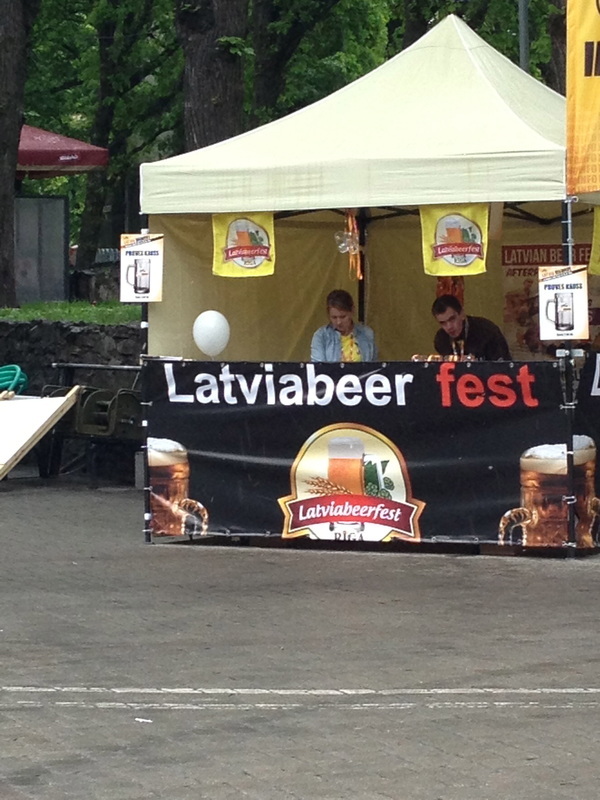 The beer festival attracted lots of people from all over europe. 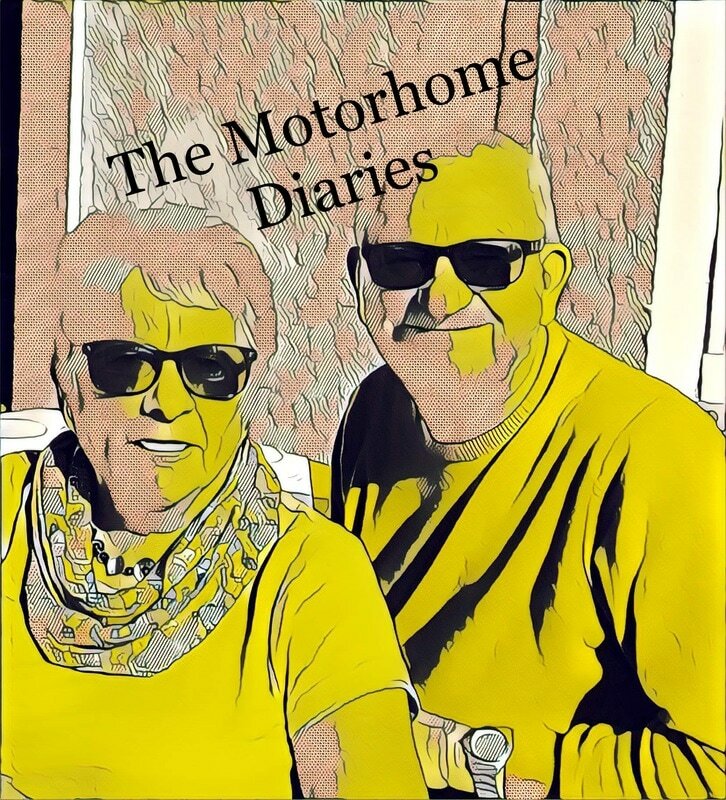 Parked next to us on the campsite was a motorhome from Lithuania and the four guys there were in town for a good p*ss up. We don't think they went to bed, or if they did it was only briefly but they were up with the lark and driving off back home when the blood alcohol levels were probably still pretty high.